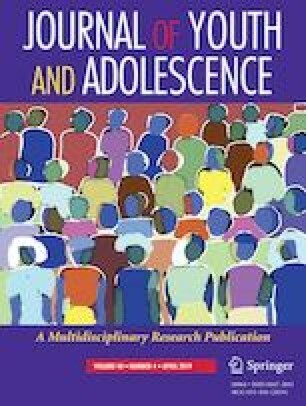 Although substance use and violent behaviors often emerge together in adolescence, and both have similar widely cited causes and negative consequences for development, it remains unclear whether and how they may be linked causally. This study of early adolescents in Mexico’s three largest cities tested whether alcohol use and violence perpetration are temporally related, whether their relationship is unidirectional or reciprocal, and whether the relationship differs by gender and the type of violence. The study employed longitudinal data from seventh grade students (N = 4830; M age = 12.0, range 11–15; 49% female) in 18 public middle schools in Mexico City, Guadalajara and Monterrey. Students completed questionnaires at the beginning, middle, and end of the 2014–2015 academic year. Students’ responses to a multi-dimensional violence assessment emerged in two distinct patterns: criminally violent acts, and bullying/aggression. Although males engaged in both types of violence more frequently than females at all three time points, they used alcohol more frequently than females only at the first survey, after which the gender gap disappeared. Cross-lagged multi-group path models showed that, for both males and females, more frequent alcohol use predicted subsequent increases in criminally violent behavior, and bullying/aggression predicted later increases in alcohol use. Reciprocal associations varied by gender and type of violence: Alcohol use was reciprocally linked to criminally violent behavior among males only, and reciprocally linked to bullying-aggression among females alone. The results are interpreted in the context of sharply increasing rates of violence in Mexico and changing gender norms, with implications for youth prevention programs. We are grateful for the support, cooperation and enthusiasm of teachers, principals and school administrators in Mexico City, Guadalajara and Monterrey who championed this initiative to develop and test evidence-based drug prevention programs for middle school students in Mexico. Dr. Maria Elena Medina-Mora of the Universdad Autónoma de México and the Instituto Nacional de Psiquiatría Ramón de la Fuente provided crucial expertise and guidance through all phases of development of the project. S.K. conceived the study, developed the research questions, designed the analysis plan, performed the statistical analyses, and drafted the manuscript; J.J. and S.A. helped design the analysis plan, interpret the results, and draft sections of the paper; F.M. developed the conceptual background and the prevention research implications of the study; B.N., D.C., and M.M. contributed to the literature review, the description of the Mexican social and cultural context, and the interpretation of results; E.K. performed the statistical analyses, drafted sections of the paper, and helped interpret results; and S.H. drafted introductory sections of the manuscript. All authors read and approved the final draft. Data collection for this study was funded by an international pilot study grant from Arizona State University. Data analysis and manuscript development were supported by a grant from the National Institute on Drug Abuse (R01 DA038657). The datasets generated and/or analyzed during the current study are not publicly available but are available from the corresponding author on reasonable request. After receiving information sent home about the study, parents provided passive consent for their child’s participation, and could opt the child out of completing the survey. Students assented to complete the surveys after they were informed of the purpose of the study, that participation was voluntary, and that their responses would remain confidential. The study adhered to data collection protocols to ensure human subjects’ protections in accordance with the 1964 Helsinki declaration and its later amendments. Protocols were approved by the Arizona State University Institutional Review Board and by university or agency Institutional Review Boards in each study city. Aguilera, M. A., Muñoz, G., & Orozco, A. (2007). Disciplina, violencia y consumo de sustancias nocivas a la salud en escuelas primarias y secundarias de México. Instituto Nacional para la Evaluación de la Educación (INEE). http://www.inee.edu.mx/images/stories/documentos_pdf/Publicaciones/Libros_Informes/Violencia/disciplina_violencia_y_consumo6. Center for Disease Control & Prevention. (2016). Underage drinking. https://www.cdc.gov/alcohol/fact-sheets/underage-drinking.htm. Center for Disease Control & Prevention. (2018). Alcohol and public health. https://www.cdc.gov/alcohol/fact-sheets/alcohol-use.htm. CNN. (2018). Mexico Drug War Fast Facts. CNN News. https://www.cnn.com/2013/09/02/world/americas/mexico-drug-war-fast-facts/index.html. Hernández, A., Huerta, M., Gordillo, H., Luna, M., & Rodríguez, J. (2016). Bullying among middle school students. Educación y Ciencia, 5, 6–18. http://dspace.rowan.edu/handle/10927/896. Organization for Economic Co-operation and Development [OECD]. (2017). PISA 2015 Results (Volume III): Students’ well-being, PISA, OECD Publishing. https://doi.org/10.1787/9789264273856-en. World Bank. (2012). La Violencia Juvenil En México: Reporte De La Situación, El Marco Legal Y Los Programas Gubernamentales. Washington DC: World Bank. http://documents.worldbank.org/curated/en/277681468155375869/La-violencia-juvenil-en-Mexico-reporte-de-la-situacion-el-marco-legal-y-los-programas-gubernamentales.